As Beijing opens up to overseas companies, foreign insurers including Generali and Prudential are in early talks with authorities to enter China's private pensions sector, Reuters reports. Hong Kong-based AIA Group and Manulife Financial are also gearing up for the $1.6trn pensions business in China, people with knowledge of the matter said. 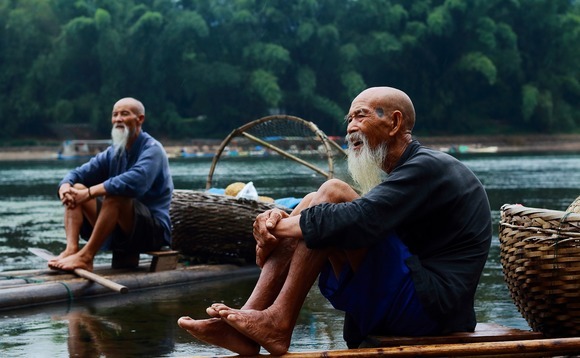 The average longevity of people in China is increasing but the pension market remains under-penetrated"
"The average longevity of people in China is increasing but the pension market remains under-penetrated," Prudential Asia Chief Executive Nic Nicandrou told Reuters. China's pensions assets, including those managed by the state, grew by 20% in 2017 to 11trn yuan ($1.64trn) and are expected to more than quadruple by 2025, consultancy KPMG said in a report this year.